Since the Middle Ages, the lavish world of the English monarchy has fascinated the public. The Royals: The Lives and Loves of the British Monarchs uncovers the most colorful characters ever to wear the crown, from William the Conqueror, the Norman duke who invaded and took England as his own, to William of Wales, the second in line to the modern throne. Nearly 1,000 years of British rulers are chronicled, including the notorious kings and queens of the Tudor dynasty, up to the royal wedding between Prince William and Kate Middleton. My first instinct upon eyeing this book at Barnes & Noble was to grab it and run to the register! 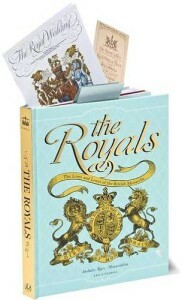 I have a weakness for books on the British monarchy and pretty books–this one is both of these things. Robin’s egg blue and gold, with beautiful illustrations and photographs throughout, it still has one other irresistible feature: a scrapbook design with elegant paper, encasing reproductions of rare historical documents. 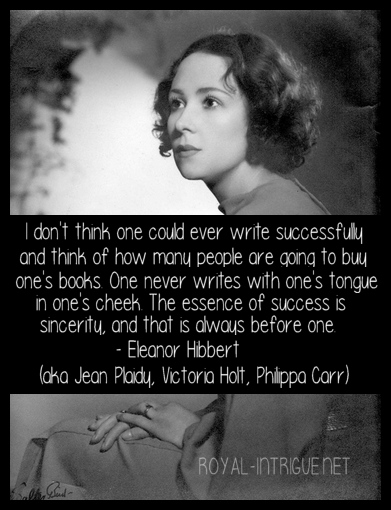 While I cannot claim to have learned a lot (as I have read Leslie Carroll’s three other non-fiction books on royalty, among countless other books of the genre), someone new to the subject certainly would. It doesn’t include every monarch, nor a great deal of detailed information–but it’s enough to understand the dynasties while piquing interest in lesser known characters. This is definitely a wonderful coffee table book and can also serve as a reference book, as it lists a chronology of kings and queens, a selected bibliography and image credits. This is a Barnes & Noble exclusive, which can be purchased in store or on their website.